"Pete's professionalism and knowledge were remarkable. He soon had me on a plan." As an experienced masters athlete Heather's training was being held back by a concerning knee pain in loaded squats. Specific diagnostic testing and a treatment & rehab plan to address issues in the lumbar spine, pelvis, and ankle resolved the issue in two weeks. "I was recommended to go and see Pete after I had a nagging knee injury that was stopping me from being able to get out of a loaded squat when below parallel." "I'd convinced myself that it was meniscus or cartilage problems. Pete gave me a thorough examination and quickly ruled out any concerns that I had." 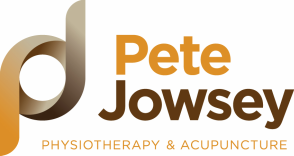 "Pete's professionalism and knowledge were remarkable, he soon had me on a plan that I followed religiously which enabled me to be pain free." ​"I also saw huge improvements in my overall performance as an athlete." "I would highly recommend Pete's services to others." "I also saw huge improvements in my overall performance as an athlete." If you're a CrossFitter, a barbell or kettlebell athlete, but pain or injury is stopping you reach your potential, please get in touch.